With sincere sadness and sorrow, Unima Egypt is mourning, the great artist and the creator of joy and creativity, the great Dr. Nagy Shaker. And offer sincere condolences to the family of the Faculty of Fine Arts Helwan University and the Egyptian and Arab plastic movement and Egyptian cinema and all the puppet artists and the puppet audience. Nagy Shaker, the renowned Egyptian artist and puppeteer, died in hospital after a long struggle with illness. He was 86. Born in 1932, Shaker is best known for his contributions to Egypt’s puppet theatre, and as chief designer for the 1960s marionette musical El-Leila El-Kebira. Over the decades of artistic practice, Shaker touched on many art forms, experimenting with visual theatre, cinema, paintings, sculpture, graphic work, even interior and architectural design. Shaker was honoured in 2015 with a State Appreciation Award in the field of arts, an award granted by Egypt’s Supreme Council for Culture. His career spanned over five decades and he continued to create artwork late in life. His experimental film titled Summer 70, co-directed with Italian filmmaker Paolo Isaja, was included in MoMa’s Mapping Subjectivity film series in 2010 and added to the experimental film collection at the museum. Shaker presented his last body of work to the public in 2015, in an exhibition titled Light Talk, featuring a display of 14 installations incorporating light. In 2016 Gezira Art Centre hosted a retrospective of his work that showcased the breadth of his art practice in different fields over the years. 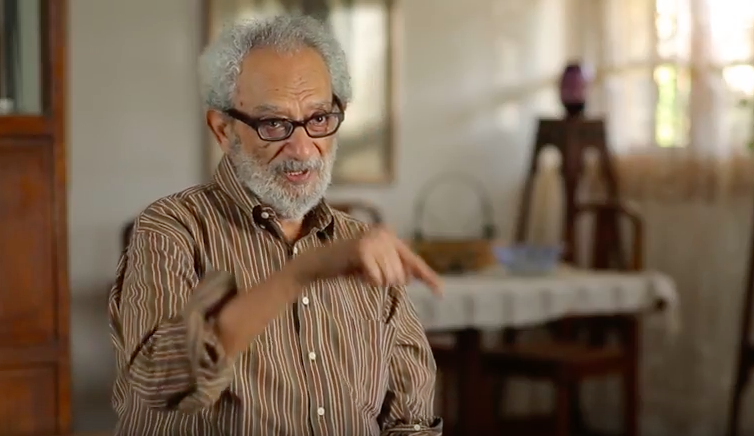 Earlier this year, Egyptian director Youssef Nasser completed a short documentary on Shaker’s life and work titled El-Naht Fel-Zaman (Sculpting in Time). In July the film won the Jury Award at the Arab Cinema Festival (ACF) in Paris, where it had its international premiere.